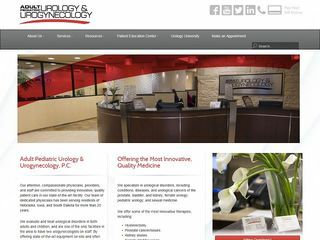 Description: Adult & Pediatric Urology is a business categorized under physicians & surgeons, which is part of the larger category offices of doctors of medicine. Adult & Pediatric Urology is located at the address 10707 Pacific Street, Ste 101 in Omaha, Nebraska 68114. The Manager is Christopher Cheuvront who can be contacted at (402)397-7989. Location & access map for "Adult & Pediatric Urology"